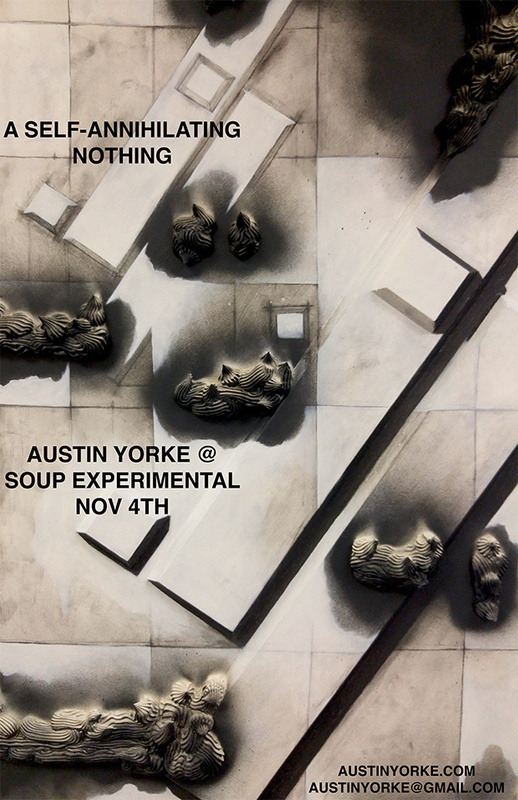 MFA ’17 Austin Yorke has a show coming up at SOUP Experimental on November 4th from 6-9pm. It will be up until the last week of November. The show involves painting, drawing, sculpture and performance.